Want to tick off all the best parties around the globe? Serious clubbers know to hit Las Vegas, Miami, Ibiza and the legendary club nights in Marbella. This glamorous town is the last word in sophisticated clubbing, an adult playground where party boats steam off into blazing sunshine, beautiful people drink cocktails on day beds and world-class artists pump music into the small hours. There’s so much to do, it can be hard to choose where to party in Marbella. Allow us to give you an overview of the huge events you’d be devastated to miss, from artist residencies to weekly ladies days via the biggest celebrity appearances. One of the best clubs in Marbella, Aqwa Mist sits directly under La Sala bar. It’s open daily from 1am until dawn, with an unrivalled sound system and 30ft waterfall. Book ahead if you can – it has a large VIP area, complete with a private hot tub. Pirate radio DJ turned BBC Radio1Extra producer jets over from North London to spin grime, dancehall and R ‘n’ B.
Brian Todd Collin AKA Kid Ink brings his unique brand of hip hop all the way from LA. The beloved multi-platinum rapper has enjoyed the most talked about chart resurgence of the year. Hear his latest tunes and old school classics for one night only at Aqwa Mist. 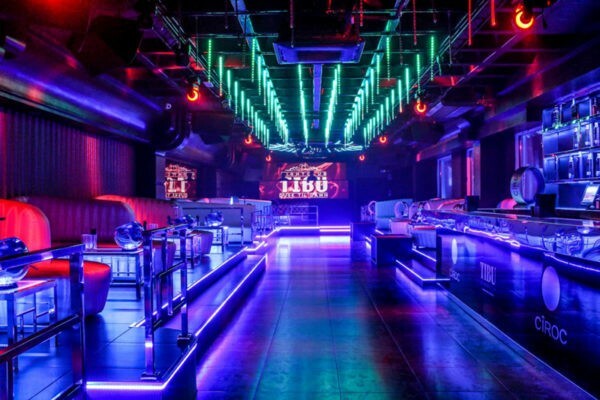 Complete with a Funktion One audio system, cutting edge laser show and floor to ceiling video screens, Marbella’s newest club goes all out on the tech decor – and the celeb bookings. The world-renowned rapper will no doubt perform hits like ‘Lollipop’ to the biggest crowd Mirage has ever seen. The reality star turned disc jockey brings her Gold Rush tour to Marbella – That’s hot! Following an immense Marbella show in 2015, the ‘Ridin Solo’ singer performs all his biggest hits. Tibu is sleek and upmarket, with a spacious open-air terrace if you need a breather. Start the week with Tropicana Mondays, Marbella’s biggest industry night, or head to Cirque Marbella on Wednesdays – prepare to get glitter bombed. The only ladies night in Marbella offers a free cocktail on arrival, live music and nostalgic 90s garage. Don’t forget your heels. Celebrate the weekend with a VIP table – pop bottles from 11pm. 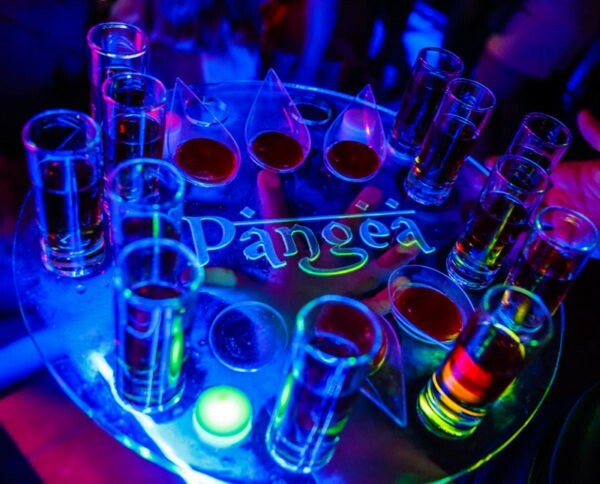 Sintillate parties run from Thursday to Sunday night at Pangea, with amazing views of the harbour bursting with chic super yachts. Expect eye-popping entertainment and the most extravagant Champagne sprays. Open every night of the week from 9pm to 7am, OV is housed in a Moorish castle, and the setting is nothing short of breath-taking. The newly attached pool club Nao promises to keep things wet ’n’ wild. Put simply: We’re gonna rock this party, dance everybody! Marbella boat parties are nothing short of wild. Turn up the tempo on dreamy summer days with beautiful people, flowing drinks, glittering waters and a gentle breeze, then party into the night back on dry land. The world’s best DJs provide the soundtrack to a day of debauchery, where you’ll find a fully stocked bar and an electric atmosphere. The best parties in Marbella happen on water, and they’re perfect for special occasions – we recommend planning one for a birthday, hen party and stag do you’ll never forget (but struggle to remember). Simply the best boat parties Marbella has to offer, Candypants’ legendary booze cruises are unrivalled. Let the Candygirls host you for a daytime drinking session like no other, checking in at Babilonia at Puerto Banus from 1.30pm and coming in to shore at 4.30pm. Making waves in destinations across Europe and now Dubai, the home of Candypants will always be Marbella. Finishing up this early leaves you plenty of time to get polished for round two that evening – going out in Marbella doesn’t stop until you want it to. For the full experience, you can’t head home without hitting a Marbella pool party. Pack your glitziest swimsuit and highest wedges because this is your moment to get noticed (‘no carbs before Marbs’ suddenly makes a lot of sense – there’s a lot of skin on show). A sea of bronzed bodies and brunch platters, days start off pretty chilled as party-goers snooze off hangovers on squidgy beds in the sun. As the heat turns up, so does the bass – the weather forecast says Champagne showers – and when it rains, it pours. Open every day from 10am, head straight here for the ultimate pool party Marbella style. Every Tuesday is Ladies Day, so get in touch to secure your free day bed. Think bright swimsuits in tropical prints – this is THE place to get that snap of you lounging in a flamingo pool float, drink in hand. Anchors away! Don your captain’s hat for an adventure on the high seas. Sisu’s intimate, must-book pool parties start at 11.30am right through to sunset at 7.30pm. Events vary from Black Diamond to Laurent Perrier, and the music is soulful house with live accompaniment. A live performance from London rapper Giggs, whose career hit new levels in 2017. Following hugely successful stints at Ushuaia Hotel and Disturbing Dubai at White Nightclub, Tinie’s coming to party – and he’s bringing friends. As the name might suggest, this super exclusive party takes place in a secret location revealed when the time is right. From 12-3pm enjoy an open bar and canapés, before DJs turn up the heat for a scorching party until sunset. The most (in)famous party in Marbella for a reason, this is where Champagne parties were born – the original hub of poolside excess. Order a platter of sushi to line your stomach before cocktails, cocktails and more cocktails. Ocean Club Marbs celebrates its 10th anniversary the only way it knows how – you don’t want to miss this. Get ready to get soaked. Read on for the hottest Marbella closing parties 2017 has to offer. Watch an incredible season come to climax at one of these outrageous celebrations, where dancers, flame throwers, acrobats and fireworks will compete for your attention – not to mention thumping beats and beautiful people throwing themselves into one last Marbella fiesta. Closing parties in Marbella are a big deal, and Ocean Club’s firework display is seriously impressive. Don your slickest black outfit with accents of gold (or vice versa, if you really want to turn heads) and get ready to shine until sunset. As darkness falls, the venue goes from laid-back daytime hangout to a downright decadent evening joint. 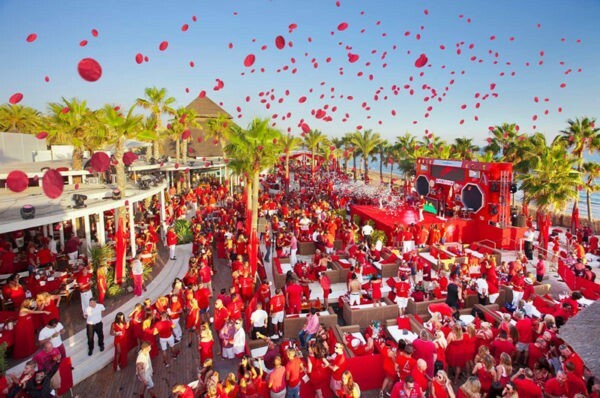 One of the biggest closing parties Marbella can offer, expect glamorous guests as far as the eye can see (and a few famous faces, too) – all dressed strictly in red, of course. To get yourself on the guestlist, book the best table and receive VIP treatment on arrival, contact our concierge. Need some retail therapy after all that partying? See our guide to the best shopping spots in Marbella. A head-over-heels hispanophile, Ben is a one-time travel editor at Rough Guides, DK Travel, ELLEuk and Red Online. 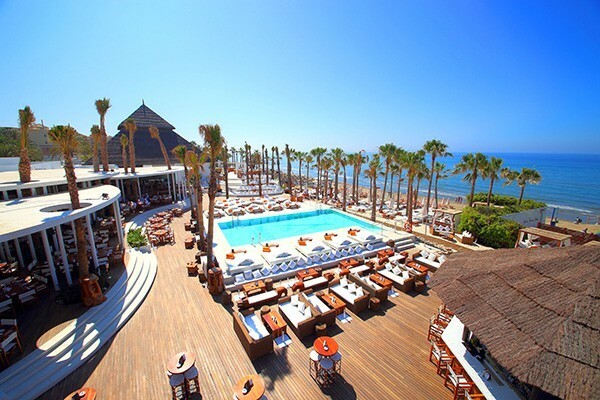 [post_content] => Marbella: the perfect spot for a lazy, sun-soaked break in southern Spain. But what is there to do should the pull of the pool begin to wear thin? From beautiful beaches and natural parks to dazzling white villages and grand, historic cities, there are plenty of great day trips from Marbella to keep you busy. This incredible gorge-clinging walk offers some light exercise, incredible views and is a great day out for the whole family. Tickets need to be bought beforehand - book here. Head inland to the north west of Marbella and you come to a beautiful town perched on a gorge. This is Ronda. See the oldest bull ring, Moorish baths, a lovely old palace or two and, if you have time, whip round a quick wine tour. Crossing the border from Spain to the UK at Gibraltar is certainly a novelty. This slice of Britain in Spain is interesting enough, but scratch a little deeper and there's a fascinating history to uncover, too. Don't miss the caves or the wild apes while you're on what locals fondly call 'The Rock'. Known as the 'Town of Churches', Antequera has more places of worship than any other town in Andalucia. The fortress at the top of the town (pictured) and cathedral are the highlights, but don’t miss the ancient dolmens on the edge of town, either. Eat at Arte de Cozina (Artedecozina.com) and you'll have a thoroughly Andalucian day out. With a mix of jaw-dropping 2000-metre peaks and labyrinths of caves, this natural park near Ronda is truly spectacular. There are plenty of opportunities to go trekking, caving, 4x4 touring, mountaineering, mountain biking or horse riding. Nearby villages El Burgo, Istán, Monda, Parauta, Tolox and Yunquera are all worth a visit, too. Spanning Cadiz and Malaga provinces, Los Alcornocales is very different to the Sierra de las Nieves. Famed for its cork oak trees and humid conditions, it’s actually the rainiest place in southern Spain and so has a large network of rivers and streams. Organise a hike through this park with lunch in one of the area's pretty, remote villages. If you like a bit of adventure, walk the Guadalmina river and jump into rock pools, shower under waterfalls and hike through the gorgeous countryside. A guide can be arranged. This picture-perfect whitewashed village makes for a lovely day out. Stroll about, take in the views and have a spot of traditional villagers’ lunch. A great contrast to the more sophisticated and cosmopolitan Marbella. A trip to Andalucia is as much about hanging out in small towns and villages as ticking off the big historic sights in cities. Setenil de las Bodegas has an incredible street where the houses are built into and under an overhanging rock face (pictured above). An utterly unique place. If there's one thing you have to see above and beyond all others in Andalucia, it's the Alhambra Palace. A great day trip from Marbella is Jerez de la Frontera. A relativity small city, it's perfect for strolling old streets lined with handsome palaces or lingering in lovely, historic squares. Don’t miss the Spanish Riding School (Realescuela.org) or one of the Sherry bodegas for a tour and a tasting. Southern Spain's longest continually inhabited city, Cadiz has great beaches and a lively but laidback vibe. Visit the cathedral, eat in the market and see the city from above via the 'Camera Oscura' (Torretavira.com). As the Alhambra is to Granada, so the Mezquita is to Cordoba. A cathedral inside a mosque, it's a mesmerising building. There’s also a Roman Bridge, a beautiful 17th-century main square, the Plaza de la Corredera, and a network of narrow old streets to explore, too. So, that's our pick of the best day trips from Marbella. You can plan your day yourself or get in touch with us and we can organise it all for you. One way or the other, though - happy exploring! Alternatively, if you're looking for a beautiful villa in Marbella to rent, check out our selection. [post_content] => Spring, summer, autumn or winter - there’s always a school holiday just around the corner. If you’re determined to spend it in a sun-soaked holiday hurrah then there’s nowhere better than the southern Spanish coast. It's simply got the the whole package of great weather, gorgeous food and plenty of things with which to keep the whole brood occupied. There’s a mini kids' course for 4 -7 year-olds and from 7 years, and up there are 83 challenges in the trees and 20 ziplines in total. You can challenge your family for up to 3 hours in Adventura Amazonia. Address: C/ Valeriano Rodríguez, 2, 29604, Marbella; Aventura-amazonia.com. Having indoor and outdoor play areas, catering for all ages and holding workshops, too, Mundo Mania is straight up kiddie nirvana. The outdoor facilities have a water park area, trampolines, multi-sports pitches, while indoors there are pool tables and the small matter of the biggest soft play area on the Costa del Sol. There’s a restaurant and bar for children’s snacks and adult meals. With plenty of events planned for all ages it’s always worth checking out their website for specific dates. Mundo Mania is located within walking distance of some of our Los Flamingos villas, so for a family fun getaway please do ask us for availability! Address: Camino de Brijan, 53-75, 29688 Estepona, Malaga; Mundo-mania.com. 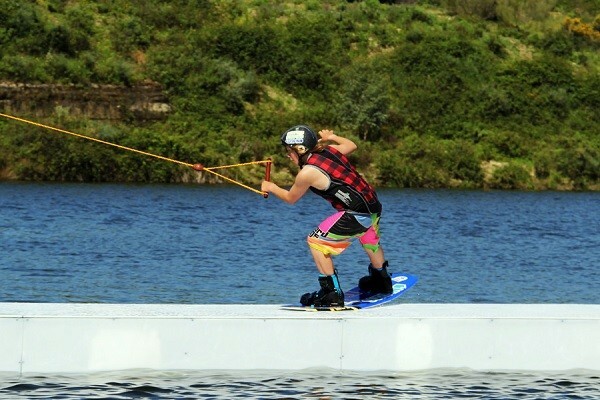 This park and lake in San Pedro Alcantara is the place to take the teens to hang out and hit the water for a wakeboarding lesson or two. It’s a cable pully lap system so it’s great for continuous riding and there are plenty of obstacles. In Summer there’s also live music, DJ sets, a swimming pool and snack bar and it’s open 6 days a week (closed on Mondays). Address: Parque de Las Medranas s/n, 29670, San Pedro de Alcantara, Marbella; Cableskimarbella.es. Feel the need for speed? If you've got an adrenaline junkie in your family then a buggy tour will be right up their street. Head for the mountains just outside Marbella and hit the dirt tracks on a tour with a pro tour buggy leader. Anyone with a valid driving licence can get behind the wheel, while children can be co-pilots. You can choose from a 2 hour, 3 hour or day tour (which includes lunch). Address: Camino de Montesol S/N, Rio Padron, 29680 Estepona; Marbellabuggys.com. Hire a catamaran for the day and head out onto the Mediterranean to experience the coast from the sea. While the kids are looking out for dolphins or enjoying the thrills and spills of a banana boat ride, you can lie back on the nets and soak up the sun. Ask our Concierge for details. Address: Puerto Deportivo de Marbella, C/ Duque de Ahumado s/n, 29600, Marbella. There are plenty of playgrounds dotted around Marbella but we think this is the best. There’s a 3km well-marked rollerblading, skating or bicycle track around the park as well as several great play areas and an amphitheatre where you can enjoy live music and shows during the summer, Feria week and school holidays. Address: Av. Luis Braille, 29670 San Pedro Alcantara, Malaga. This is a beauty, modelling and craft hub for children where you can pre-book experiences at the spa or in your villa. Whether it’s a t-shirt design workshop, kid’s cinema or mother and daughter manicures, there are loads of opportunities for family fun. They can organise birthday parties and events in their salon or in your own villa, so check out their website for what’s happening when you’re on holiday. More information: Calle Arturo Rubinstein, 3, 29602 Marbella, Málaga. Kidspamilkandroses.com. Nurture your mini-foodies with a kid-friendly live cookery experience at the Food Room. They run regular cookery classes and school holiday clubs in English and Spanish for children ages 6 years and over, or can organise a private class just for you. Discover the secrets of great Spanish cooking during your stay in Marbella and take home much more than just the photos! Why this particular stretch of sand over the other beaches in Marbella? Well, the maze of sand dunes and historic tower, the Torre de los Ladrones, make it just that bit more fun for children. It’s also next to Cabopino port with its small marina and family-friendly restaurants. Address: Cabopino Beach, 29604 Marbella, Málaga. 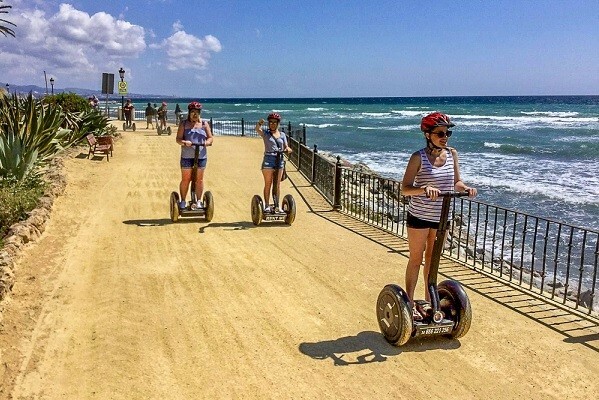 Hire a Segway and go for a ride along the coast or have a guided tour around Marbella. With special Segways just for children, even the littlest members of the clan can hit the road. Address: Avenida de las Naciones Unidas, CC Cristamar, Local 2, 29660, Marbella; Marbellasegwaytours.com. Marbella has a charming old quarter with cascading plant-filled streets, cobbled squares, shops and restaurants that's great for a day when the appeal of the pool (eventually...) starts to tire. Have a meander around with an ice cream and visit the very beautiful Museum of Contemporary Spanish Engravings (Museo del Grabado Espanol Contemporaneo). More information: Calle Hospital Bazán, s/n, 29601 Marbella; MGEC.es. In Estepona there’s 1.9km of outdoor track where you can race go-karts to your heart's delight. Children from 6 years old can drive, while younger children can be a passenger with a parent. Address: Salida 155 A-7. Junto a gasolinera GALP. 29680, Estepona; Kartfun.es. Some say the best way to see a country is on horseback. At Los Caireles, you can take a ride into the countryside around Marbella no matter what your level. Address: Urbanización Hacienda Cortes, C/ El Almendral S/N, 29603, Marbella; Loscaireles.es. Given its popularity as a family holiday destination, the Costa del Sol inevitably has more than its fair share of amusement parks. And while they can be busy places, they also guarantee a fun day out for the family, particularly in shoulder season when queues are shorter. This zoo in Fuengirola has gorillas, crocodiles, lemurs, giant tortoises, hippopotamus, tigers and much more. The park is divided into territories: the island of Madagascar, Equatorial Africa, Southeast Asia and islands of the Indo Pacific. Great care has gone into the rain forest feel of the park. The path leads you through the different territories under tunnels, over bridges and around enclosures. There’s quite a lot of shade and it’s very friendly to small children. This safari park is much bigger than Bioparc. It also offers more than animals, too, it has a huge zipwire, 65 metres of hanging bridges, archery and trampolines. Animal-wise there are white rhinoceros, elephants, cheetahs, giraffes, pythons, waterbucks, lions, wallabies and more. The Central Village - where the big African animals are - is the show-stopper. Be sure to book the Serengeti Safari where you get taken inside the enclosures in a customised jeep. Opening times: 14th Feb – Oct 10 – 18hrs, Jul and Aug 10 – 20hrs, Nov – Feb varied opening times, please check the website. Address: Selwo Adventura, Avenue Parque Selwo s/n, A7 highway km 162,5, 29680, Estepona; Selwo.es. Tivoli World in Benalmadena is a compact theme park, but with its many attractions and regular live shows it's undoubtedly one of the best things to do on the Costa del Sol with kids. For the smallest members of the family, ‘Tivoliandia’ offers rides better suited for little ones. To make your trip even more fun, take a ride on the Cable Car which runs from right outside Tivoli and takes you up the mountain to enjoy spectacular views of the coast. At the top you can enjoy a Birds of Prey display and grab a snack at the restaurant. Still in Benalmadena, this small aquarium in the award-winning Puerto Marina has sharks, stingrays, jellyfish and more. Be sure to be around for feeding times. The biggest water park near Marbella is Aqualand in Torremolinos. It has 18 slides and attractions including the dare-devil Kamikaze, Rapids, Boomerang, speed racers and Black Hole among others. It’s a great day out for all the family and has an area dedicated to toddlers and non-swimmers. Address: C/ Cuba, 10, Torremolinos, 29620; Aqualand.es. Costa Water Park can be found in various locations along the coast – Benalmadena, Fuengirola, Mijas Costa, Elviria, Marbella and Sotogrande. An inflatable assault course in the sea, it's a lot of fun and one of the absolute best things to do with kids when the mercury starts to rise. Life jackets are given out as part of the ticket so there's peace of mind. Open during the summer months only. This is a guided wolf tour - which is exactly as cool as it sounds. 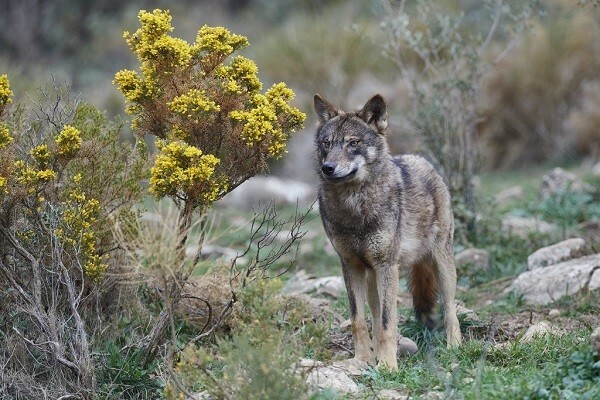 The wolves in Lobopark aren’t domesticated, so you get the unique experience of watching these amazing creatures 'in the wild'. For families with older children there are Wolf Howl Nights tours, where on full moons the park does special tours to see (and hear) the wolves when they're at their most active. At the prehistoric El Torcal Natural Reserve kids go wild for the bizarre rock formations and the possibility – however small – of actually discovering a dinosaur fossil. There are three routes that you can follow – red, yellow or green – though the red route is restricted in order to protect flora and fauna. The green route is the easiest but the yellow, which is only slightly steeper/rockier, is more dramatic. There aren’t many walks in the world quite like the gravity-defying - and incredibly beautiful - Caminito del Rey in El Chorro. With a large part of the route clinging to the cliff edge above a gorge, it's a spectacular way to spend a morning or afternoon... for those who aren’t afraid of heights, that is. Tickets must be booked in advance, please contact us for more information. More information: 29550 Ardales, Málaga. Caminitodelrey.info. Malaga city has it all, beach, museums, shopping, art and great restaurants. If you’re planning some time in Malaga city while on holiday there are lots of things to do with children that are both educational and fun. While most of Malaga's art galleries hold fun classes on the weekends for over 5 year olds, the Pompidou Centre in particular is very good at catering for children. Not only is it generally very child-friendly with a cafe, shop, toilet and changing facilities, but it has a room dedicated to pre-teens with all sorts of interactive activities built around learning about artists. The Pompidou Centre is on the pedestrianised Muello Uno which is perfect for families with its electric car rental, bikes, play areas and boat trips as well as shops, markets, restaurants and bars. More information: Pasaje Doctor Carrillo Casaux, s/n, 29016 Málaga. Centrepompidou-malaga.eu. Just a short, enjoyable walk from the Pompidou Centre is the giant Ferris Wheel on Malaga’s port. If you’d like to see Malaga, the coast and, if you’re lucky, Morocco, from an air-conditioned pod 70 metres in the air then this is a good way to spend just under an hour. It opens at 11am and closes at midnight. More information: Puerto de Málaga, Muelle de Heredia, s/n, 29001 Málaga. Noriamiradorprincess.com. If you’d like to be outside, then the Alcazaba and Gibralfaro are a fun attraction for the family. Not far from the Wheel, situated in the centre of Malaga, this 10th-century fort-palace complex allows for imaginations to run wild and little legs to get tired. Opening times: 9.00 hrs – 20.00 hrs in the summer and 9.00 hrs – 18.00 hrs in the winter. More information: Calle Alcazabilla, 2, 29012 Málaga. Ideal for budding rock stars, visitors are taken through the history of musical instruments with plenty of opportunities to try them out, too. Look out for activities for children during the school holidays and weekends. More information: Av. de José Ortega y Gasset, 201, 29006 Málaga. Musicaenaccion.com. In an old tobacco factory, this museum has a large collection of vintage and unusual cars, as well as fashion and art. Great for all ages, it's a good option to please the whole family and break up the day. It's not very big and can be visited easily in a couple of hours. 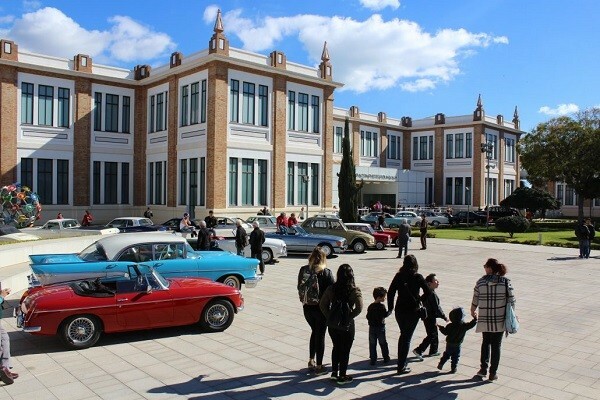 Address: Museo Automóvil Malaga, Edificio de La Tabacalera, Avenida Sor Teresa Prat 15, Malaga; Museoautomovilmalaga.com. Like our pick of things to do in Marbella with kids and thinking of a special family break? Check out our selection of Marbella villas.